As a London-based company providing expert legal translation services, we have experience translating for a huge number of different law firms and departments. We pride ourselves on working closely with our legal clients to ensure 100% correct translations every time, but when it comes to dealing with the law in other languages we recognise there are particular issues at stake. Legal translations require a special skill set and level of experience. It is always important to understand a company and industry from the inside, so that we can communicate your ideas clearly and effectively to local markets. In the case of legal work, though, there are additional factors and restrictions. Most countries have their own judicial systems, and knowledge of these should be mandatory for your translator. If not, specific language or laws that affect the accuracy of your content – including the overall purpose as well as the literal meaning of the words – may be lost. When this happens, it can have serious consequences. Misunderstanding of a key legal term could result in the loss of an important contract, financial penalties or even criminal charges. At Comtec, our London team specialise in legal translation services and understand the pressures of working with legal materials in jurisdictions around the world. 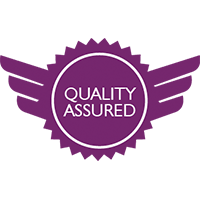 We have over 30 years of experience in providing translations to clients in the legal industry and work to rigorous ISO 9001 certification standards. Not only that, but we only use mother-tongue translators who have experience in the legal sector – and we hand pick them for every assignment. We routinely work in over 200 different languages and have a network of over 3,000 translators to draw upon. Aside from ensuring we find the right person for the job, it’s important to start with a clear translation brief and to understand your specific needs in each case. We know that legal translations are often subject to tighter deadlines than usual, and we’re used to delivering on those without compromising on quality. Naturally all documentation is treated with the strictest confidence. To ensure all work goes as smoothly and quickly as possible, we appoint a project manager who will act as a single point of contact for your organisation, so both solicitors and secretaries know who to contact. Early samples for large translation projects will be delivered to allow you to give feedback. Where possible, we also use translation memory software. This creates a library or memory of words and expressions that we can draw on in the future – or, if you provide us with previous translations, we can create a memory based on those even if this is our first translation for you. The upshot is faster, more accurate and lower-cost translations. Lastly, you will need to make sure the document is ready to be used in court. Some legal translations will require certification, and we offer several types depending on the legal requirements at hand. Back translation (translating the translation back into its original language) also ensures that the document is 100% accurate and is something that we are always able to provide – as should any translation company working with sensitive legal materials. The result is accurate translations you can always trust. If you are looking for professional legal translation services in London, please get in touch at london@comtectranslations.com or call us on +44 (0) 20 7329 5004. We’re here ready and waiting to help.